The world’s biggest and most unique river conservation campaign ‘Namami Devi Narmade’, Narmada Seva Yatra reached Chipaner village of the district. Minister in charge Thakur Rampal Singh and Collector Dr Sudam Khade welcomed the Yatra at the entrance with kalash and Dhwaj-pujan respectively. 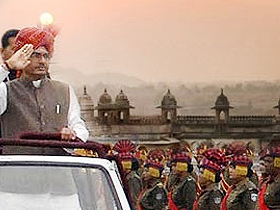 Chief Minister Shivraj Singh Chouhan performed Dhwaj Pujan at Nimbark Ashram and held the flag while Smt. Sadhana Singh welcomed the Yatra with Kalash Pujan. 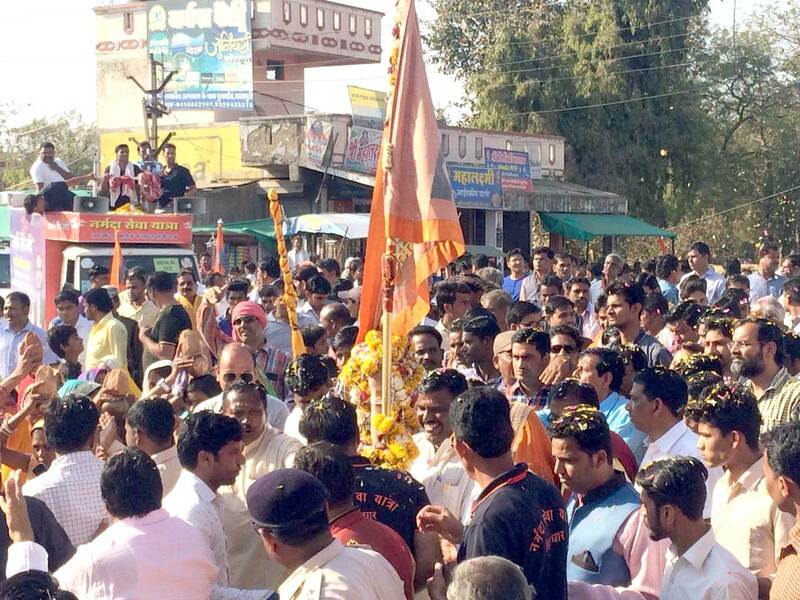 Thousands of devotees thronged the spot to welcome the yatra with immense gratitude. Scored of kanyas carried kalash on their heads. Rangoli at every doorstep, flower showers, rhythmic sounds of dhol-manjira and dances turned the atmosphere pious. Children presented a spellbinding colourful performance. 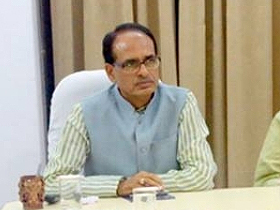 Chief Minister Shivraj Singh Chouhan and Pandit Kamal Kishore Nagar addressed the massive crowd and took part in the maha aarti.